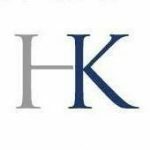 Haga Kommer, Ltd. is a CPA firm with offices in Fargo, Bismarck, and Mandan in North Dakota. They specialize in accounting, bookkeeping, tax planning, tax preparation, non-profit accounting and tax, estate planning, payroll, and consulting. Work For Haga Kommer, Ltd.? Claim This Page.